Also called the Norman Trotter, the French Trotter’s genetics are perhaps the most closely tied to the Old Norman Horse of all the French breeds. Breeding began early in the 19th century and developed from English Thoroughbred, Norfolk Trotter, Normandy & some Standardbred bloodlines. 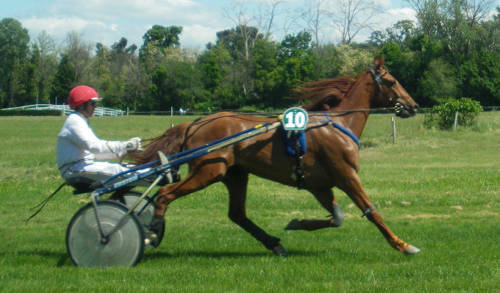 As interest in trotting continued to grow, so did the interest of breeding fast trotters. Breeding (& training) is generally done on smaller farms & by family breeders where selective breeding is taken seriously. Rigorous testing is required of animals allowed to be registered & bred, as these animals are literally bred to trot. There are not standardized features for this breed but characteristics seem to persist. Do you have images or know more about the French Trotter breed? I’d love help completing this page, please contact me to get involved.